I think Spring has finally arrived in Wyoming...we went from snow one day to 70 degrees the next....so there is hope! I decided to break out the bright colors for a colorful thank you card. My card is based on the sketch challenge this week at CAS(E) this Sketch. My original plan was for a white on white card....but I could not resist adding the black layer for the added pop! Then the black against the Raspberry just seemed fitting! 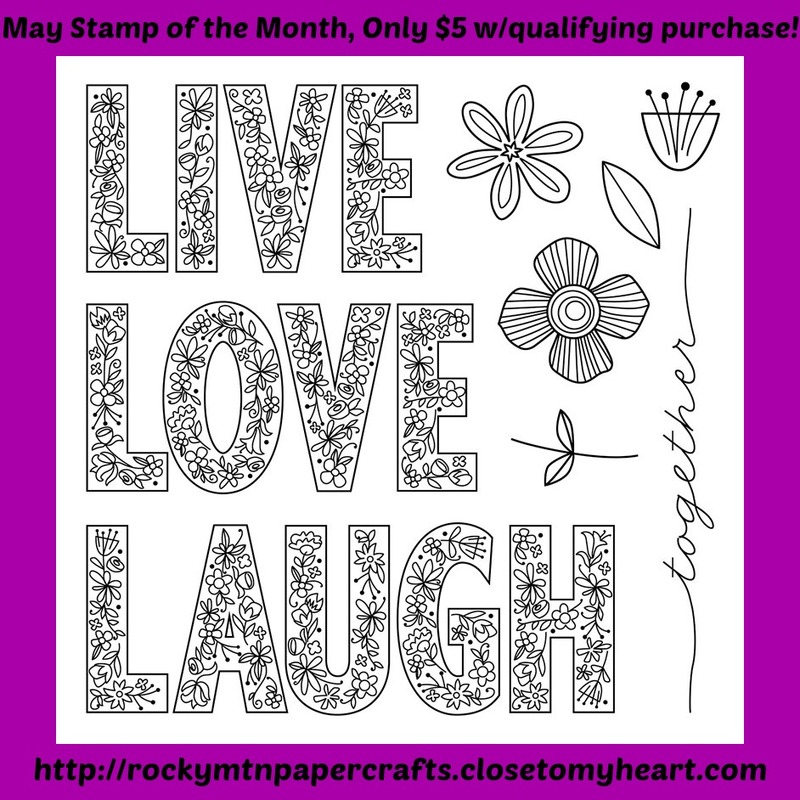 My card is created with flowers from the May Stamp of the Month, Live Laugh Love. With the bold words in this set, I think the flowers could be easily overlooked....but they can stand out on their own! I stamped the flowers in Memento Black and then added color with my Prismacolor pencils. My shading is done with Gamsol. I love shading with Gamsol.....I really am a novice colorer (is that even a word)....but Gamsol provides great results with very little effort. My "thanks" is from my favorite die that is cut multiple times, covered in black pigment ink and then heat embossed with black embossing powder. I love the added dimension the layers add to the card. If you have yet to see the May Stamp of the Month, here is the full set. Super bright and beautiful flowers,fabulous card. Thanks for playing at AAA Cards and good luck with the DT call. I love the colours you used and they just pop against that white background. Thanks for playing along with us at AAA Cards! Such a bright and cheery card CAS card. Wonderful technique used on the thanks. Thank you for sharing your design in our "Add a Sentiment" Challenge at Crafty Cardmakers! Lovely card. 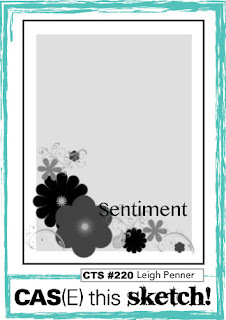 Thanks for joining Crafty Cardmakers "Add A Sentiment" Challenge. So pretty! Love the bright colors!! !